This article will discuss the features and functionalities of the most dynamic, easy-to-use third party budgeting and forecasting tools for Sage 500. Budgeting is such a crucial process that is usually a logistical challenge because most teams have traditionally been linking spreadsheets together manually, but there are modern solutions that change that. Independent software vendors (ISVs) are producing more efficient, more modern tools to meet today’s budgeting demands. Like most organizations, you have probably outgrown a homegrown Excel budgeting process, so it might be a great time to look at ISV planning solutions to upgrade and expand your planning tasks. The best of today’s planning solutions enable you to facilitate secure collaboration, with the ability to eliminate tedium as a budget manager and distribute ownership to your budget team. Budgeting and forecasting typically involves more than one person collaborating to build a financial strategy. Planning entails comparing historical figures with research-informed projections. Globally, finance teams trust and rely on Excel, but it can be frustrating with more than one contributor to a budget or forecast. Even though most companies are still depending on Excel, some have shifted to Sage Budgeting & Planning over the years, so an ISV solution would be an additional investment on top of their current licenses. In this article, we’ll discuss the benefits you can reap by deploying a third party budgeting tool for an expanded Sage 500 experience. Best-of-breed budgeting solutions have been steadily becoming more prevalent recently, probably because of the flexibility, robust budgeting capabilities, and the security that invites the inevitable teamwork to create a complete budget. Moreover, with platform options (Excel, Web, and/or proprietary), customers can invest in a tool that works best for their team. The premier ISV planning tools are also equipped with accounting logic, business user friendly automation, and reusable templates. ISVs have answered consumers’ calls for more efficient, collaborative, and secure budgeting and forecasting. The top planning tools allow budget managers to give access rights to department supervisors to help shape a budget they’ll have to meet through the year, avoiding long, back-and-forth e-mail conversations, as well as large spreadsheet attachments and the challenge of linking spreadsheets together. The budget manager then can ensure that the collaborative process results in a complete budget. Here’s the best part: it’s not too good to be true. Your potential return on your investment will not only be money, but also time and energy. When making an investment in a modern, dynamic planning solution, you’ll likely see returns in terms of time, money, and morale. But what should you be seeking in the best budgeting solution to assist in achieving your objectives with Sage 500? Things you should consider include platform options, how you would like to integrate your data, and a standalone offering versus a fully integrated, comprehensive Business Intelligence (BI) suite. Since Excel is so popular in finance and accounting departments, Excel add-in solutions are popular in the marketplace because they upgrade the familiar and flexible interface, specifically for budgeting. Excel add-in solutions empower you to securely collaborate on reusable budget templates with richer, dynamic functionality. Alternatively, proprietary tools are another option. Some ISVs assert that Excel is a mess for budgeting, and they are usually offering their own proprietary interfaced tools on the market, some on-premises and some web-based. Since these platforms rely on formatting that is non-Excel, users have to adapt to a brand new set of formulas and rules just to craft a budget. Simply, the learning curve for a proprietary platform is most likely going to be tougher, longer, and more expensive for most finance teams to employ. The most buzzy platforms today are browser-based. I’m sure it isn’t surprising to you that the web is arguably the trend in the technology realm. While web budgeting is relatively newer, you can choose to go the Excel-powered route or go with proprietary tools. If your budgeting team is comprised of several users, it can be more cost-efficient to go with web budgeting when it comes to licensing, but more importantly, the capability to access your company information from wherever you have an internet connection is probably the most valuable aspect of this option. The best platform option brings Excel-based input form design and formatting onto the web, so you can experience ultimate familiarity and flexibility. Beyond platforms, you will want to seek some important functions. There are some contemporary, foundational features that you should be looking for in a tool, even though there’s isn’t one tool that can be the perfect for every organization. You will need the functionality to compare actuals and projected figures side-by-side, spread totals across a fiscal year, easily add multiple line items for your accounts, perform roll-ups, convert multiple currency types, create reusable templates, view authorship, utilize what-if scenarios for budget fluctuations that can happen, and employ parameters, like Department, Division, and Entity. The more modern software allows you to go beyond the General Ledger for more in-depth analyses. These kinds of budgeting abilities are the present and the future, but the number one priority should be about the ease of use for your business end users. This blog has covered BI data store options regarding online analytical processing (OLAP) cube versus data warehouse integrations, but don’t forget that the tool should be business user friendly. Do you have personnel with the right combo of experience and skills to manage an OLAP cube? Will you need a data warehouse due to your diverse data and data sources that you’d like to consolidate for robust analytics? And if you have more BI objectives beyond budgeting and forecasting, is your favorite tool positioned within a suite of tools? Some budgeting solutions are positioned within a larger BI suite of software, completely integrated for a singular approach to related, but disparate analytics. If you’re charged with other BI tasks, like financial reports, dashboards, consolidations, or housing data in a warehouse, whether that’s a current task(s) for you or something planned for the future, you should be considering a solution that is part of a BI suite. In terms of business user friendliness, you can then work with one team of sales, consultant, and support professionals. 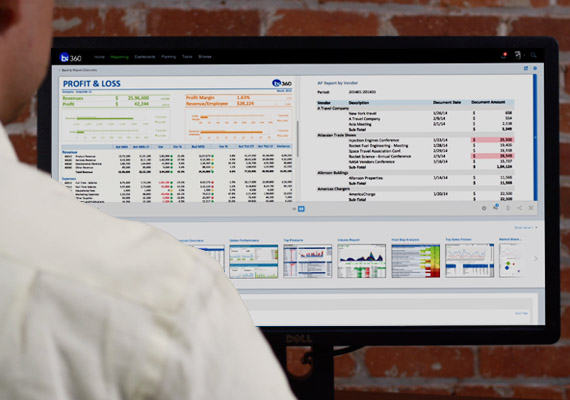 Solver offers Excel and web budgeting stand-alone solutions or as part of the comprehensive suite of BI360 modules and would be happy to answer questions and generally review BI360’s easy-to-use Planning solution for collaborative, streamlined decision-making capabilities with Sage 500. This entry was posted in BI360, BI360 Planning, Business Intelligence, Collaboration, Excel 2010, InfoManager (BI360 budgeting module), Sage 500, Solver Operational Data Store (BI360 Data Warehouse module) and tagged Adaptive Insights, Adaptive Planner, annual budget, BI, BI360, Budget Maestro, budgeting, business intelligence, capex, excel, forecast, mas500, Sage Intelligence by Matthew Felzke. Bookmark the permalink.